My wife bought me an Ipad (32G 3G) for my birthday. I have an IPod Touch that, like my earlier Nano, I use daily. But I primarily use the Touch for music and — even more — podcasts. I wanted an ebook reader but could not bring myself to get a Kindle because I wanted a device to read books as well as the various blogs and legal feeds I follow. I was thinking that I was going to wait until at least the 2nd generation. But Stephanie heard me talking about it, knew i’d love it if i got one, and ordered one for me. (We had gotten a laptop replacement for her earlier in the year). I have a beautiful wife. Impression one. This is not a magical device. It’s cumbersome to input. Safari lacks any remote flexibility with add ons I regularly use with reading and tracking like I have with FireFox. The input keyboard is lightyears better than the Touch due to its size, but still forces me to regress back to the days of hunt and peck keyboarding before I learned to type in, oh, about 9th grade. Creating content that requires cut and paste between apps is possible but painfully slower than a laptop. Magical would be a tool that could be a laptop replacement in a meaningful way and offer the dynamite interface and app options that the Touch has only on an HD screen many times the size of the IPhone/Touch. It is not; but in truth I did not expect it to be and have been just testing some of its limits. I am actually writing this not on my laptop but on the WordPress app for the IPad and it is taking me easily 3x longer to do it this way. Of course part of this may be my multi- tasking as I watch the series finale of Lost. Impression two. This is a magical device. I took it to my in-laws place the weekend I got it. Stephanie has three brothers with a combined niece/nephew mix of 7 (or 9 if you throw in our two daughters). Each and everyone of them used the IPad at some point. Not just them, but Stephanie’s cousin, brothers, sisters in law and aunt even played with it. At one point Stephanie grabbed it to take with her when she was taxi and chaperone for her nephew going to a teen birthday party. The young ones painted on it (Draw Free and Whiteboard Apps), played a block buster game (BClassic Lite); the teens checked Facebook, played some other games I had downloaded, checked out music, and wanted other game apps (for $) that I would have DL’d but their parents nixed (and I only bought the limited 250mb data plan anyway); the uncles checked out iTunes, my movies, YouTube, weather, sports and news apps. I literally did no reading on it the whole weekend, but got a kick out of everyone else using it – for its main purpose as a media consumption, gaming, light interactive input, time killer plaything device extraordinaire. Impression three. This reinvents YouTube. My kids, who went through a YouTube binge on my Touch. But the IPad with wifi and a HD screen is a game changer. I’ve literally watched They Might Be Giants videos (I’m a Paleontologist, The Mesopotamians, Istanbul, Never Go To Work) with my kids at least 50x over the last week. They also love the old Muppets snippets I can find. Impression four. Its about the interface and portability. While its input is slower, it’s an on the fly device. I can quickly look things up, do simple tasks (check email; check weather; check Facebook; look something up on the web; make a note in Evernote) quicker than I can with a laptop (if not right there and booted with a browser running). It’s more comfortable in my hand than a laptop is in my, well, lap. Its far more usable for certain tasks than the Touch or a cell phone. While I’m still reticent bringing it along with me when I know I’ll have some time to use it (watching kids at the park play with friends), I can see this use at the same time I couldn’t contemplate a laptop. I can also see this device (or a similar next generation or competing device) being the thing that Newton was supposed to be. I hear an app called Pennultimate with a stylus (photostatic of course) is great for handwritten notes be they not yet optically character recognized. I imagine that will come. Impression five. It’s about the apps. 200,000. Task focused. Niched. One example – I like amateur astronomy. They have several really good apps including a soon to come one optimized for the IPad called StarMap Pro. I like this one because it has features (e.g., eyepiece view, Telerad view) that even with a Touch is an amazing aid for my dob when I am star hopping. I’m hoping that the HD version will be as visually stunning as the other IPad optimized apps and much easier to see outside with red-light mode of course. Another app I reviewed but have not bought plugs into any computerized telescope (with a necessary wifi interface you can buy for the scope) and shows you the view through the scope from the IPad perspective, skewing across the sky as your scope does. But if you dont care a lick about the night sky (and too bad for you – but it takes all kinds), the specifics of the apps I like are unimportant — there’s probably stuff you like and there’s likely an app for it. For kicks, I searched ‘knitting’. 29 separate apps if that’s your particular poison. Yuck, but it takes all kinds, right? I think the final impression is the most important. The last decade of this Apple IPod/IPhone/IPad thang has created necessary platforms for a new niche ecosystem of content and now software. Through itunes and its app store Apple has made a distribution and micropayment market for content (music; audio books) and software (app store) function, for the first time, pretty efficiently if not a bit under the control of one monopolizer of the distribution system. The hardware will become a commodity over time. The market, however, oh the market created is the real magic going on here. And now created and sunk into the psychology of consumers, the distribution network won’t be long monopolized by any one company. Especially one whose products start to become a commodity. But Apple will command the high premium of the innovator and first market maker for a while yet. 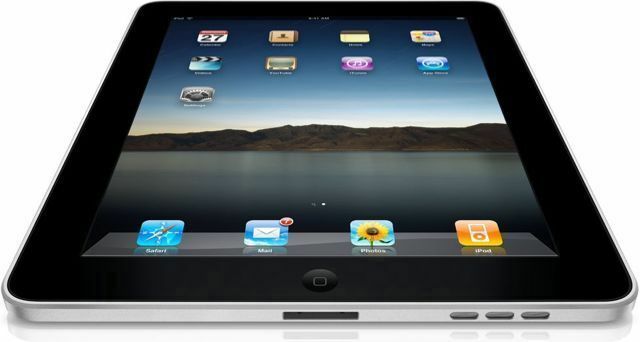 But more important, the tablet and this new market are here to stay. Viva la tablet and the micropayment content/software market. I just finished reading a book by Dan Simmons called The Crook Factory. His ability to write across genres is something I have not encountered in many writers. Contrast the Hyperion series, Summer of Night, Drood and this novel. This work is an historical fiction account of a year in Ernest Hemingway’s life during May of 1942 to April 1943. What’s utterly fascinating about the book is that a significant portion of it is fact. During this time Hemingway ran an amateur counter espionage ring and sub hunting operation from his home in Cuba. J. Edgar Hoover’s FBI was concerned about unfavorable and potentially embarrassing information that Hemingway was uncovering about Cuba and the Cubans corrupt government officials. But very little else is really known about the period and what Hemingway’s troupe actually did and uncovered – although he was nominally funded and supported by the US State Department. Perhaps most interesting about the novel is how it integrates the actual events into its plot development. The book discusses how Hoover had been warned of a possible Japanese attack on Pearl Harbor earlier (of course, not by Hemingway, but by the British) but the FBI failed to pass the intelligence on due to in fighting with rival intelligence agencies within the US. The book also weaves in the affair between John F. Kennedy and Inga Arvad, a presume German spy, the illegal surveillance of the vice President of the United States and Eleanor Roosevelt by the FBI, a 300 foot yacht, the Southern Cross, outfitted by a German spy and given to a US nonprofit entity, that was suspected of servicing German subs in the Caribean, vicious infighting between the FBI and rival US intelligence agencies, far more vicious infighting and plots between Hitler’s Nazi SS intelligence organization and its rival Abwehr spies, and inserts the absurd but true account of the landing of Nazi agents on Long Island and the FBI’s refusal to believe the German spies when the were trying to turn themselves in! 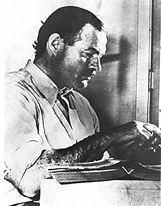 What’s also true is the FBI ‘s intense interest in Hemingway, its surveillance of Hemingway, efforts of some to paint him in post-war years as a communist sympathizer, and Hoover’s continuing interest in Hemingway until the writer’s suicide in 1962. While the main plot devices of espionage, violence, double cross and intrigue are obviously fictionally based, there seems to be so much that remains unknown (or still evading a FOIA request) that the real and amazing truths of this time that Simmons integrates into the story make the fictional deep cover antagonist Lucas seem vivid and the “fictional events” more than just plausible. This was the third “historical” fiction novel I’ve read by Dan Simmons. The first was The Terror. The next was Drood. It’s clear that each book had been meticulously researched. Where fiction (even fantastical) diverges from historical fact is seamless. Simmon’s ability to find the voice of the characters he’s writing about, be they Hemingway or Charles Dickens, is authentic and highly believable. What a joy. This was another fantastic read.